Recently a sister in Nebraska received a message that it was one minute to midnight. We do not know what time this would represent in the language of God but what we do know is that if one minute is left out of our day, though it be a thousand of our years, our time is for all practical purposes, over. Every watchman in Zion is on his toes, because there is a quickening in the Spirit which God is now shouting to us to prepare for the coming of Jesus Christ in the midst of destruction, and devastation of an unprecedented nature. (A) Ultimate Reconciliation, Modernism, Universalism or whatever else they might call it is presently sweeping the church, especially in the ranks of the so called End Time believers. It purports that a good, kind and loving God would not send men or devils to an eternal hell. The answer to this is that The Eternality of Hell is consequent upon the everlasting nature of the hate which these creatures have for God and that even as birds of night cannot live in the light so also evil spirits cannot live in light. (B) The old Roman Catholic doctrine of purgatory which was proclaimed as a dogma of faith by the Council of Florence in 1439 is vindicated by the Ultimate Reconciliation doctrine which says all will be saved even after they go to hell, men and devils alike, even Satan himself, will pay for their sins by burning, and after being sufficiently baked will be taken to heaven. This lie precludes the cross and says it was not necessary for Jesus Christ to have died. In effect it is another way of salvation – salvation by fire. It is luring many into Hell and others are being disarmed. Many of the chief proponents of this doctrine are in sin: I have not met one in my forty years of ministry who was not covering up sin by this doctrine. “Buckingham Report, August 21, 1985 (190 N. Westmonte Dr. Altamonte Springs, Fl. 32714) ‘Saturday Evening Post’ publisher Cory SerVaas was the first to publicly endorse M.G. (Pat) Robertson, president of the Christina Broadcasting Network and host of “The 700 Club’, as a candidate for president in 1988. Earlier NEWSWEEK had listed Robertson as one who was being ‘mentioned’ in certain circles as presidential timber – along with Jerry Falwell, etc. etc.” It goes on to say that Pat Robertson said ‘he would indeed consider a serious run for the presidency, and that sources close to Pat confirm his willingness to run.’ Bill Bright of Campus Crusades is here mentioned as a Robertson supporter. This is deception, and it is sweeping the Christian world. “For the weapons of our warfare are not carnal but mighty through God to the pulling down of strongholds, casting down imaginations, and every high thing that exalteth itself against the knowledge of God, and bringing into captivity every thought to the obedience of Christ; and having in a readiness to revenge all disobedience when your obedience is fulfilled.” 2 Cor. 10:4-6. The leaders of most church organizations are leading their flocks into politics in order to achieve power over the American Democratic system. In effect they are casting away the weapons of prayer and fasting, which the scriptures say are more powerful than any other weapon, and going after the weapon of political power. It is inspired of hell and will bring nothing but ruin to the already partially ruined church system. The thinking is ANTI-CHRISTLIKE and will cause many to lose their souls. I have known Christian ministers who went into politics and are no longer Christian ministers. If the man who God calls for the ministry changes his calling to become president of the united states or senator or any other political office, then he has denied the call of God and has become a fallen star. Rev. 9:1-2 says a fallen minister or servant of God will be given the Key of the Bottomless Pit, and he will open the pit and loose hell on earth. Anyone can criticize my interpretation, but if you dare to research the truth of this verse you might come to the same conclusion. The Babylon of the Bible: “Take heed that no man deceive you.” These words of Jesus Christ can be applied to every facet of Christian thinking. If you understand what the Word of God means when it says “Babylon”, then you would realize that there is a deception afoot to cause us to be narrow in our vision and thus miss identifying the true nature of Babylon. The word Babylon is derived from – Baal (Nimrod), who built the tower of “Babel” and the city of Babylon. This was all done in the name of God against God, and in the true sense of the word, Nimrod was the first Antichrist. He did not deny God or Christ, but only said he was the son of God, thus usurping Christ. When God uses the term BABYLON in the Bible, He conveys the thought of a system which owns God, but sets up a kingdom of deception to make things look like it is God when in fact it is the work of Satan. This was the exact picture of the ancient Babylon, and the only way the modern Babylon differs from the ancient predecessor, is that it is more subtle and by far more dangerous. Any system which calls the name of God and is not under the headship of Christ, is Babylon, whether it be a Christian church organization, a Moslem mosque, or a Jewish Synagogue. There is only one way to worship God – IN SPIRIT AND IN TRUTH, and it must be in the right Spirit – The Holy Spirit and in the truth which Jesus Christ is. The Scripture tells us (Rev. 18:4) to flee from Babylon. If Babylon is a specific place then it would be very easy to flee from that place, but because Babylon is a system and a kingdom which teaches its children its own form of righteousness which is contrary to the laws of God, when we flee from her we have yet to get her teachings out of our hearts and minds. The difference between Babylon and the true church is that the church has Jesus Christ the son of God as it’s head and Babylon is a hydra-headed monster. The Body of Christ only has one Head, but the systems of religion and the Governments of the world has many heads. In Rev. 17 the woman (the church) rides the beast with many heads (the world organizations of nations). The Holy Ghost is the power of God. Denying the Holy Ghost is the first step in the sin of blaspheme. We cannot be holy without the Holy Ghost. When the scriptures speak of being unholy, it is referring to a doctrine or way of life of a believer which rejects the leadership of the Holy Spirit, thus submitting to another spirit. This letter of Paul was not written to sinners, but to the church, not to those without the camp but to those within, the Christians. Denying the power of God, means that we turn to other sources for help rather than to God. If God works mightily in me through healing, and I have the gift of Miracles, and I preach the word of God with great deliverance, then if I turn from that and go to study to become a medical doctor, I would have denied the gift of god. If however, another brother who was not called to the ministry becomes a medical doctor, it might well be God’s perfect will for him. When God called me this was exactly what happened. I was set and all ready to go to University to study medicine, when JESUS HIMSELF, came into my room and asked me to go to preach the Gospel instead. I said, Lord you have many people preaching the Gospel, why do you need me? He showed me a picture of the church, and how many of the preachers have been distracted in their ministry, and satisfied my mind as to why I was needed. Before this He asked me why I wanted to be a medical doctor. I told Him I wanted to help people; to that He replied that I would receive more healing in my ministry than I would have as a medical doctor. This was one of the greatest promises I have received in my life. Over the years this has proven to be true. No matter how much I desire God in my heart, and no matter how much I preach about Jesus Christ, If I went to study medicine, then I would be denying Jesus Christ. Of course I must make it plain that I am not saying that anyone who goes into medicine or politics or any other thing is denying God, but that IF GOD CALLS YOU FOR A MINISTRY, then you do not have a choice as to what else you might do; you only have one way to go. In this area there is need for repentance by the whole church. Some of us have not only left our calling, but encouraged others to do so. The judgment of God will fall on us for this very soon. There are many who believe that when they repented of their sins they immediately became part of the Body of Christ, but this is not so. When the Children of Israel left Egypt, they did not enter into Canaan land, but into the wilderness; a place of death. When we accept Jesus Christ as our personal saviour, we immediately enter into the Outer Court of the church, which is the equivalent to the Wilderness where we are prepared for entry into the DOOR of the tabernacle or Christ. We receive Christ in the Outer Court, but to enter into Christ, or the Body of Christ, we must be BAPTIZED BY THE HOLY GHOST into His Body. (I Cor. 12:13). This is accomplished by obedience to the Holy Spirit and not by obedience to a church system. If the church was in complete obedience to the Lord, then it would follow perfectly, but we are today dealing with a church system which has rebelled against its Lord, therefore the believer must hear from God and not blindly follow the dogmas and commands of others. There is however an authority in the body of Christ, and each believer will know this authority for oneself. “My sheep hear my voice and I know them and they follow me.” John 10:27. This is a promise of God that works. Anyone who wants to know God’s voice will know it. The responsibility for hearing God is not the believers’, it is God’s. “Blessed are they which hunger and thirst after righteousness, for they shall be filled.” Matthew 5:6. God will fill the need. Selfishness rules the denominations and groups which follow the same order of the apostate church, therefore they will never be ONE UNDER CHRIST, but they will be one UNDER ANTICHRIST. Any oneness, any ecumenism, which is not under the lordship of Jesus Christ, is under Antichrist. In Revelation 17:3, The woman (harlot church) is sitting upon a scarlet colored beast, (The kingdoms of the world with their warlike nature) “full of names of blasphemy…” The color scarlet depicts a spirit (Rev. 6:4 describes it as a red horse) of war and confrontation. In Zech. 6:7 we see the red horse (bay) was sent to walk to-and-fro through the whole earth to take peace from the earth. We cannot particularly speak of these now but in some later issue as the Lord leads. If we realize that the bread of the Communion symbolizes the Body of Christ and the Wine symbolizes the life of God which we share, then we would be bound to love one another knowing that by so doing we would be loving Christ. The Communion table is a place of covenant making not only with Christ whom we cannot see, but with His body whom we see. The communion table can be misused, “For this cause some are weak and sickly among you.” I Cor. 11:30. The title of “Pope” (father) is a name of blaspheme as also the title of “Father” before the names of certain priests. The name title “Priest” is also unscriptural as the priestly office under the law was done away with when Jesus came and by His blood is making us priests and kings. There is no “Priest” or mediator between God and man but the man Christ Jesus and those who create a priestly office either do not know the scriptures or do not believe it. Some of this blaspheme is caused from lack of knowledge, but for the most part it stems from a deliberate rebellion of lawlessness against God and the bible. There are some who believe that when Jesus Christ left the earth to return to the heavenly realms that he left an apostolic assension like a line of kings to be in the place of Christ. There was never any such word in the Bible which even slightly suggested any such ascension, and there could not be, because it would go directly against the commands of Jesus Christ Himself in Matthew 20:25-26. I would have to have a very warped idea of who god is to believe that he would select someone to sit in the seat of Christ, by men getting into a conclave and voting. The Blaspheme of it all is that ministries thus appointed are chosen by much of the church while they reject the God appointed God ordained ministry of the five fingered hand of god. (4) The Greek word translated “Master” is “didaskalos” which is the root word of the English derivative “doctor” Jesus Christ Our Lord, speaking to the brethren in Matthew 23:8 said: “Be ye not called Rabbi; for one is your master and all ye are brothers.” If Jesus Christ said this then that is good enough for me, but not for some of our brethren. in certain programs of discipleship and pyramid fellowships, men of God are setting themselves up as Masters, having many disciples under them. When Paul told Timothy to make disciples, he knew that Timothy was not going to create a schism in the body of Christ by betrothing them to himself rather than to Christ. The modern day teachers are making disciples unto themselves. This is an abomination before God. In the studying of cults it would be well for us to study the modern church system. When you study her you cannot help but to see a harlot, who daily is leading the people in thousands of different directions. A maze of confusing lights, false lights, to deceive the wayfarer that he might lose his way. (5) Bishop: Greek “episcopes,” verb – oversight. This word appears in I Timothy 3:1 “This is a true saying, if a man desires the office of Bishop he desires a good work.” In order to deceive the reader that there was an office created of God called “Bishop” the translators, turned the verb “oversight” into a now “overseer” and added the words – “office of a”. “Overseer” was never mentioned in the word of God as an office yet most of the churches have their Overseers, responsible for areas of many congregations. This concept is basically unscriptural and not of God. All the elders were overseers, and they were made overseers by the Holy Ghost, not by man. (a) The exegisis of the word – God would not have created such a position, because it is contrary to the word in Matthew 20:25-26 in which Jesus says that such a position is what the sinners do, but that it should not be so among us, the church. (b) Jesus describes Himself as the “Good Shepherd,” not “pastor”. He is not a “herdsman” which is the meaning of “pastor”. He does not drive the sheep; He goes before them. He is the exampler, not the dictator. The position of the Pastor in the church is basically that of a manager of a business, which is of the world and not of God. This is not a small issue as some might think. It is one of the biggest issues in the church to day. He who takes away the position of Jesus Christ as Lord of the Local Church, breaks the divine order of God and takes the place of antichrist. These are only a few of the many “names of blaspheme” which the churches use without any qualms of the conscience. This means that the Holy Ghost has left them to their own devices, but thank God the consciences of many of us are alive and not burnt with Paul’s proverbial “hot iron”. The Holy Place is described as Three main dimensions: (1) The Human Soul, (2) The Church that was born at Pentecost with the Baptism of the Holy Ghost and (3) The natural Holy Place. Jesus Christ gave us this sign of the time when we should flee from low ground, spiritually, to high ground, which spiritually speaking is the Holy of Holies. Because the Bible is a spiritual book, then it cannot be interpreted by the carnal mind. We must therefore see this thought from the perspective of God and understand what God is saying to us and also must be able to discern the time of which He is speaking, or we will be caught in the very trap that the scripture is warning us to avoid. The phrase “Abomination of Desolation” is a quote from Daniel. Jesus often quotes Daniel which gives authenticity and importance to the book. Daniel 12:11 refers to it as the “abomination that maketh desolate.” Daniel 8:13 refers to it as the “transgression of desolation.” We see therefore that there is a transgression which is greater than all the transgressions and it is designed to make the earth desolate. This same transgression is described in 2 Thessalonians 2, to which the whole chapter two is devoted. It is identified as the “transgression of lawlessness and rebellion.” The worst part of this is that it will be personified – that is, humans will become possessed of the transgression of lawlessness spirit, and they will call it righteousness. This scripture makes it clear that this transgression of lawlessness will stand up in the holy place church – standing up means it will take authority over the church which should be led by the Holy Ghost and this will bring the world to the brink of total annihilation. But for the elect sons of God, no flesh would be saved. We have been prepared and conditioned for accepting this situation by our own churches which insist in having a ONE MAN RULER called a Pastor or Head Elder, or Minister, therefore it becomes easy for us to accept a Pope or Bishop, or National Overseer. Without fear of contradiction, the churches are going even now into the antichrist system. The ecumenical World Council of churches, Roman Catholic, Charismatic, Evangelical, Pentecostal, etc. mixture IS THE ANTICHRIST SYSTEM. Brethren awake for Christ’s sake and flee out of Judea into the mountains. There is no accurate pinpoint day and hour estimate BUT we as the Body of Christ should not be as those who are in darkness, and be overtaken by that day. This means that God is giving us a fair estimate and a clear understanding of the times in which we live. Jesus’ resurrection was on the third day in the morning of that day, and if we see God’s day to be a thousand years as Peter intimated, then Christ’s third day would be the dawn of the next millennium. According to our calendar, this is supposed to be fifteen years away – BUT WAIT A MINUTE – The same people who made the calendar say it is wrong by five years. In this event it would now be 1990 instead of f1985. This would leave Ten years. From this ten years we would have to take the time for the sons of God to manifest the full image of Jesus Christ according to the promises of the word of God, even as Jesus himself did in his ministry for Three and a Half Years. Seven years from ten only leaves three. I am sure that according to the urgency with which the Spirit is speaking, tells us that it might be even possible that the time is shorter than three years. Nevertheless the trouble with which we will be confronted within whatever time is left is going to uproot and dislodge all those who are not well rooted and grounded in Christ. Things will deteriorate to a point in time called “Midnight” which will be the darkest period in the history of the world, when the planet will face annihilation of every living thing. The Perfected sons will begin their three and a half years ministry while the antichrist, the beast and the false prophet with his false church will be reigning. There will be a time of very great and intense persecution so that the Christians who have been disobedient will seal their testimony with their blood. During this time the “Woman” church, who is a true church which did not make it into the “Manchild” or Son class will be protected in the world and fed by the Manchild church. 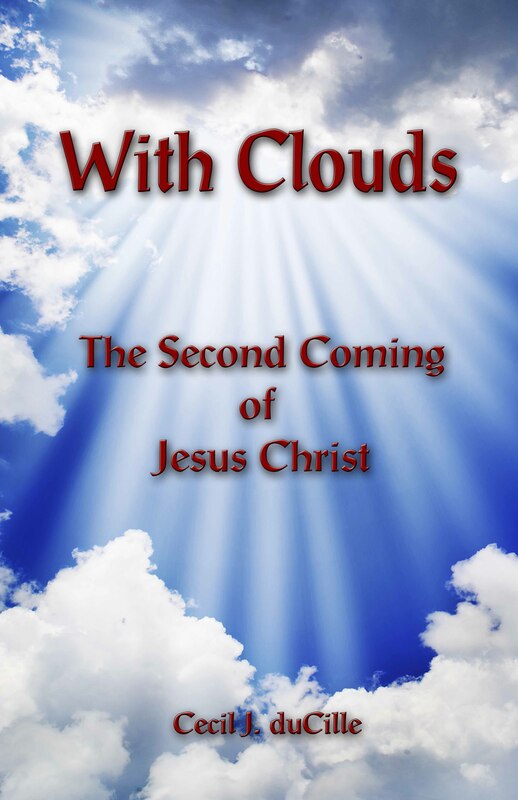 The Perfected Sons or Manchild group will put an end to the persecution by offering their lives and in three and a half days, like Lazarus or Jonah, they will resurrect with a public showing. This will shock the whole world, and every soul who can be saved, will be saved. The beast and false prophet and all their armies will prepare to attack the saints. But fire will come from the power of the spoken word and devour them and every evil weaponry and thing and set the earth free. This is the battle of Armageddon. Then will Jesus come and reign and rule bringing peace and longevity to the earth. We will regain our 1000 years of life and salvation will fill the earth. “Let us therefore fear, lest, a promise being left us of entering into his rest, any of you should seem to come short.” (Heb. 4:1).